After 20+ years in the hair/salon industry, VjPeace CEO, Vijai Manilal noticed a gap in the industry that he just had to fill… With the ARIMINO brand being from Japan, these gaps were evidently bridged in more ways than none. Find a salon which carries your favorite Arimino product. SALON LOCATOR. 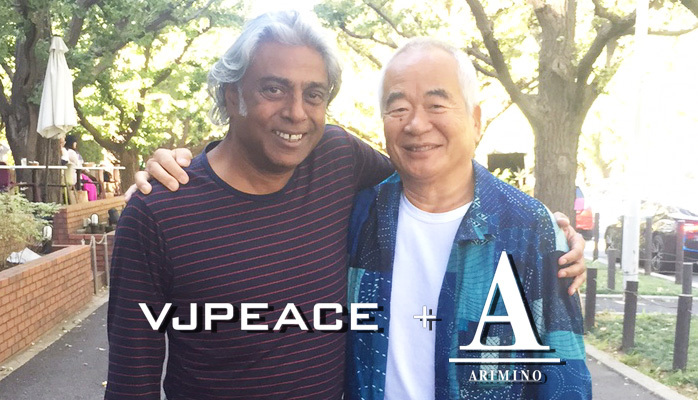 VjPeace is the exclusive distributor of Arimino Peace, Caretrico, Caretrico Grace Blue, Caretrico Privy, Sherpa and Spice NEO within USA and Canada. Carrying Arimino Products in your salon will increase sales and help retain client loyalty. They will not shop elsewhere! or learn more about VJPeace and Arimino products. Peace is a creamy and delicate product that provides strong and lasting hold. With the use of carefully selected NATURAL ingredients, Peace provides a line of strong and effective styling waxes and cream that will not weigh the hair down. And the scent of Aqua Rose will bring Peace to your day. The Sherpa series is a completely NEW home hair-care system. The treatments penetrate through to the core of the hair leaving it silky and glossy. Tackling the damages of daily life, Sherpa brings dull hair back to life. These treatments will improve hair TEXTURE and SHINE almost immediately! SPICE NEO brings serious PROFESSIONAL STYLE from salon to home! Find the best texture and hold for any head of hair. With three unique series: TUBE, NEO POMADE AND SERUM - styling just got more FUN! This is the eye-catching iconic product clients look for. This is a unique in-salon treatment that customizes components (such as proteins, moisture, and oils) in perfect ratio to your client’s hair-type and needs. By personalizing each treatment, your clients will notice a visible improvement in the health & condition of their hair. Grace Blue offers a take-home regimen that can be customized to fit your client’s hair type and texture. This special formula creates the best ion balance for the hair, giving more elasticity, soft texture, and luminance look. The delicate scent of pure rose keeps the hair fresh all day. Caretrico PRIVY will give your clients what they want - SIMPLE to use with IMMEDIATE results. Privy enhances your design and you can feel its rich texture by a simple, speedy process. The Hydrolyzed Collagen technology repairs and holds moisture at the core of the hair to create a silky and shiny finish.